Birmingham - Huntsville - Montgomery - Chattanooga AllSouth Appliance Group, Inc. began in 1997 as a resource to area home builders, remodelers and their clients. 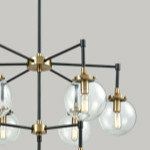 The company was started in Tyler Hillman's basement by him and his brother Josh and focused on offering a wide selection of brands for the different tastes and styles of consumers. AllSouth now provides sales, delivery, service and installation on over 40 appliance brands. AllSouth is a participating member in area home builders associations, chambers of commerce and many industry related groups. AllSouth is a contributing member to the Habitat for Humanity and many other community charities. We believe in supporting communities with time and resources. AllSouth Appliance was awarded the Southeast's first Subzero/ Wolf Living Kitchen. The state of the art environment showcases over 90 products from SubZero Freezer and Wolf Range. All sizes and finishes are represented. In addition to beautiful, Interactive showrooms, AllSouth offers an e-commerce website full of information on their appliance offerings and offering the ability to purchase online. 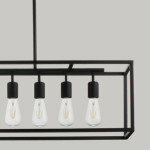 The website also offers designers, specifiers and dreamers a great resource for products. The goal is to build lifelong customers, and to do this, our customers must realize a value in doing business with us. The AllSouth sales staff stands ready to answer any questions and provide the information needed, so that you can make informed decisions about the most important room in your home. After customers select from our wide variety of major name brand and specialty appliances, AllSouth continues service with our dedicated delivery crews and professional installation. For service issues, we offer North and Central Alabama's best, factory trained service technicians. For repair outside our service area, service will be handled by Factory Authorized Services. We are happy to assist our customers in setting up calls. Mary Rooney, RID, ASID, is an NCIDQ-certified, award-winning registered interior designer, holding a B.A. in interior design. In 2007, she launched her company, Mary Rooney Interior Dimensions, LLC. 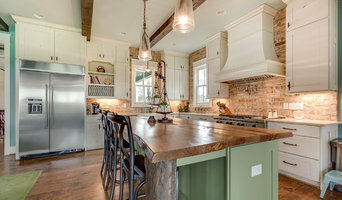 Birmingham's Cabinetry and Countertop Specialist | 4x Best of Houzz! 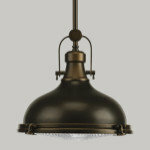 We pride ourselves in our craftsmanship and we strive to provide products that are innovative and beautiful. Let us assist you today with your next project. You'll be glad you did! We craft custom cabinetry and other woodworking projects in the Birmingham area with a focus on kitchens, closets, baths, and built-ins. Clear Pantry is an American manufacturing company that produces acrylic pantry inserts, drawers and roll out shelves for pantry cabinets and pantry closets. 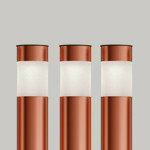 They are easy to Install - DIY. Organizes and maximizes entire usage space of your pantry. All items are Visible and Accessible. Easy to Reach. No step stools or ladders needed again to reach the back of your cabinet. It's Easy to Clean. Can be Customized to fit your specific needs. Sturdy and Durable. Comes with a Lifetime Limited Warranty. Wellborn Forest Products manufactures semi-custom wood kitchen and bath cabinetry available through independent cabinet dealers and home builders in the Eastern United States. Our main mission is to provide designers the cabinetry options they need to give homeowners what they want and create remarkable spaces for living. At Patrick Bryan Factory Finishes, we take cabinet refinishing to the next level. Our objective is to give the customer good sound advice and great service. We have been family owned and operated for over thirty years. Instead of replacing cabinets which can be expensive, we offer homeowners a cost effective alternative. By taking existing cabinets through our factory finish process, we make them look absolutely new! 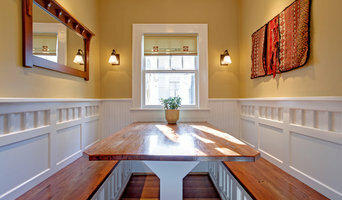 Local carpenter specializing in personalized design and installation, historic preservation, and small space solutions. Kitchen Distributors Inc. is a family owned business that has provided fine cabinetry to Birmingham and the surrounding areas for over 23 years. With well over 10,000 kitchens and bath installations throughout the Birmingham metropolitan area, Kitchen Distributors is one of the largest cabinet design and installation shops in central Alabama. We provide cabinetry for every segment of the market from small condominiums and houses to multi-million dollar estates. Many of the largest builders in Birmingham trust us as their cabinet and countertop supplier for kitchens and baths. Based in Birmingham, Cotton Woodworks specializes in custom-built cabinetry and furniture for today's most distinctive home interiors. Our team of craftsmen and designers can match and complement all styles — working with builders to provide finished, installed pieces that integrate seamlessly with surrounding elements and surfaces. From the first drawing to the final delivery, Cotton Woodworks stands for carefully considered quality and detail — made with skill, by hand, in Alabama. We are a custom cabinet shop. We can build any kind of custom cabinets, vanities, mantels, etc. R & R Custom Cabinets, Inc. is a family owned and operated business established in 1986. 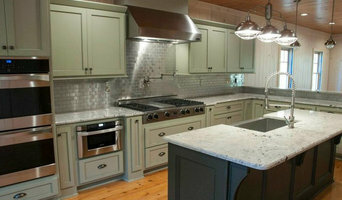 For over 19 years we have been manufacturing custom kitchen and bath cabinetry. Our goal is to provide you with products that are built with the utmost quality, care and craftsmanship, along with the courteous, professional service that will ensure your project will come together without a hitch. At R & R Custom Cabinets, we recognize the privilege of being your custom cabinetry designer and builder of choice and we pledge always to provide the best products at competitive prices, with service that goes well beyond the sale. From the friendly, convenient in-home design consultation, to the selection of only the finest materials available, from the manner in which our skilled craftsmen create products that they are as proud to build as you will be to own, to the timely scheduling and impeccable attention to detail of the installation. we are dedicated to ensuring that each project earns our client’s complete satisfaction. At R & R Custom Cabinets, we recognize the privilege of being your custom cabinetry designer and builder of choice and we pledge always to provide the best products at competitive prices, with service that goes well beyond the sale. We will be happy to answer all of your questions. Cabinet Component Innovations, formerly Cabinet Components, Inc., specializes in cabinet components for the custom cabinet maker, custom home builder/remodeler and commercial contractor. When you think about cabinets, your mind probably goes straight to kitchens and bathrooms. 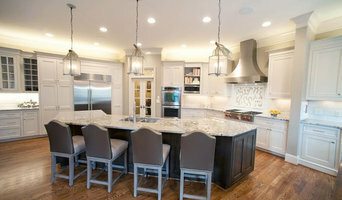 But Trussville cabinetry professionals’ abilities extend far beyond those obvious spaces. If you need built-in storage, shelving or custom case goods, no matter what the room or purpose, cabinetry experts can help. Their focus on details and space-planning skills can help you squeeze functionality from even the tiniest corners of your Trussville, AL home. 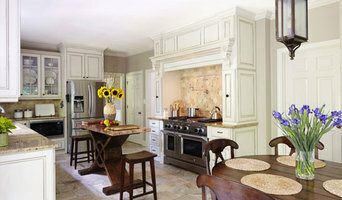 In addition, Trussville, AL cabinetry pros can help you give worn or dated cabinets a makeover. They can replace doors; add glass inserts, decorative moldings and other details; or give cabinetry a new coat of paint or specialty finish. Your cabinetry professional might work closely with an Alabama kitchen designer, builder, remodeling contractor or interior designer. Here are some related professionals and vendors to complement the work of cabinets & cabinetry: Kitchen & Bath Designers, Kitchen & Bath Remodelers, Interior Designers & Decorators, Closet Designers and Professional Organizers, Woodworkers & Carpenters. Find a cabinetry professional on Houzz. Narrow your search in the Professionals section of the website to Trussville, AL cabinets and cabinetry. You may also look through Alabama photos to find examples of cabinets that you like, then contact the cabinetry professional who worked on them.